Finally, a proper cooked meal. Our first dinner prepared in the Paris kitchen: bouillabaisse with racasse, the French scorpion fish that makes the dish. I’ve never been able to buy racasse in North America. 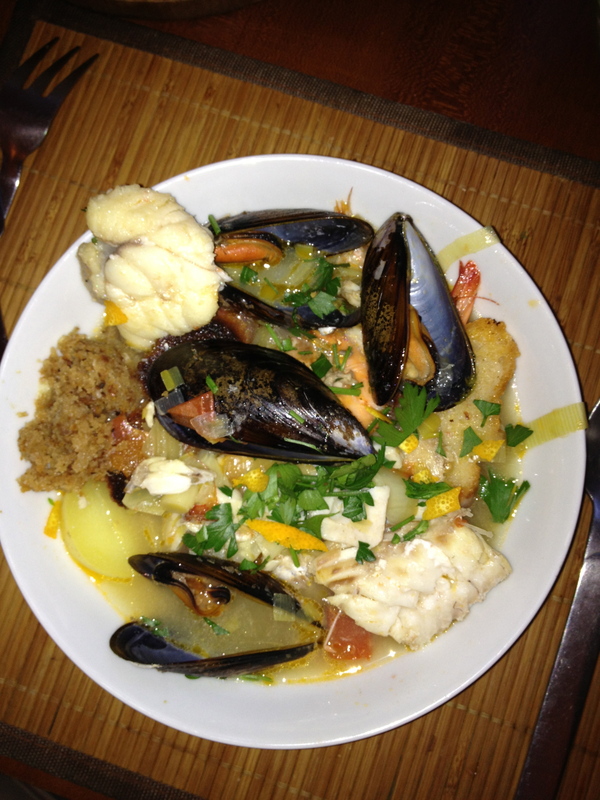 My first true bouillabaisse! Published: August 16, 2013 Dimensions: 2448 × 3264 Posted in: Kitchen Gallery Post a comment or leave a trackback: Trackback URL.